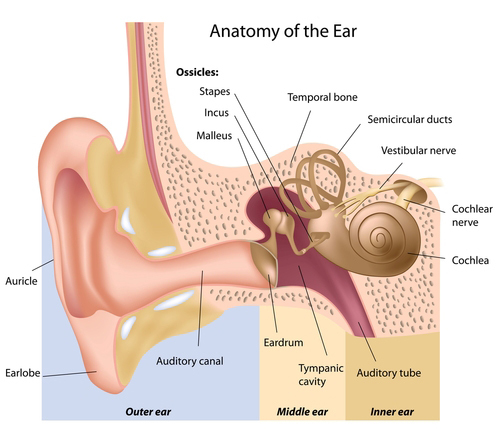 Ossicular chain discontinuity (also called ossicular chain dislocation) is an abnormal separation of the middle ear bones. Middle ear infections, injury or malformation of these bones can cause this condition. This condition leads to conductive hearing loss as sound cannot be transmitted properly. Cholesteatoma — a benign tumor caused by the build-up of skin cells and protein from the ear canal behind the eardrum. Congenital ear malformation: If the ossicular bones are not formed and linked properly from birth. The treatment for ossicular chain dislocation is OSSICULAR CHAIN RECONSTRUCTION, an ear surgery. For more information on this treatment click here.